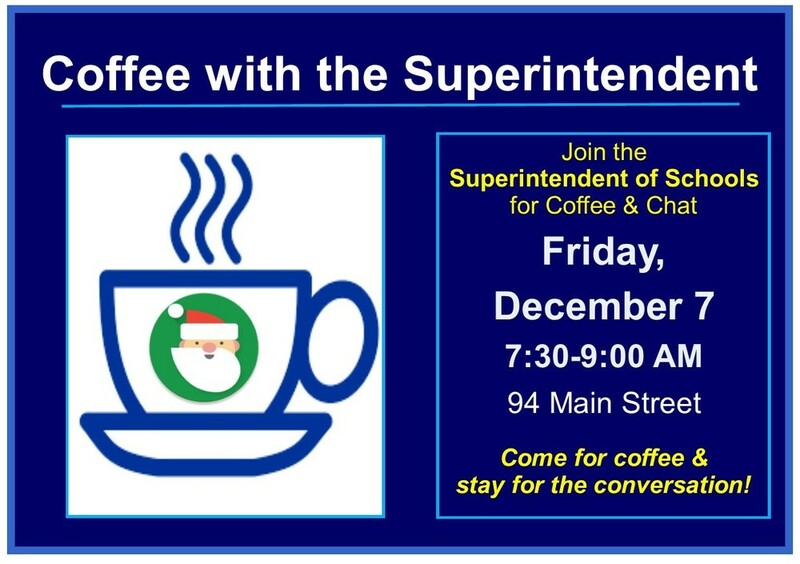 Join the Superintendent of Schools, Paul K. Smith for Coffee and Chat on Friday morning, December 7 from 7:30-9:00 AM at 94 Main Street. It's a great way to start your day. Ask a few questions about STEM programming proposed for next year's budget!